What if everything you knew about your family was a lie: What if, when the lies began to crack, beneath them lay a truth so dark and deep, yet so compelling, that it pulled you inside? Ariella Montero is seeking the true identities of her mother and father-and of herself. She's been taught literature, philosophy, science, and history, but she knows almost nothing about the real world and its complexities. Her world is one wherein ghosts and vampires commune with humans; where Edgar Allan Poe and Jack Kerouac are role models; where every time a puzzle seems solved, its last piece changes the entire picture. When the last piece is murder, Ari goes on the road in search of her mother, who disappeared at the time of her birth. The hunt nearly costs Ari her life, and, in finding her mother, she loses her father. But gradually she uncovers the secrets that have kept the family apart, and she begins to come to terms with her own unique nature and her chances for survival. Set in upstate New York, England, and the American South, The Society of S explodes stereotypes-of the homeschooled, vampires, monkeys, FBI agents, and academics. In this strange new world, vegetarianism, environmentalism, biomedical research, and the ability to disappear are options for those who drink blood and face the prospect of eternal life. 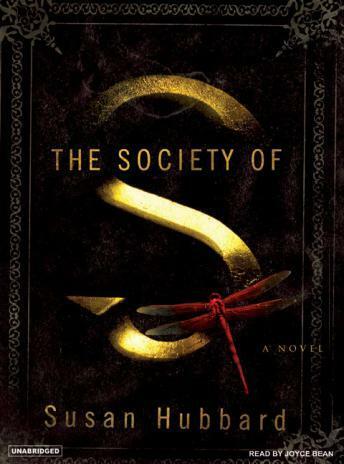 A taut, character-driven literary mystery, The Society of S is the future of vampirism, told in a voice that will haunt you-and make you think.